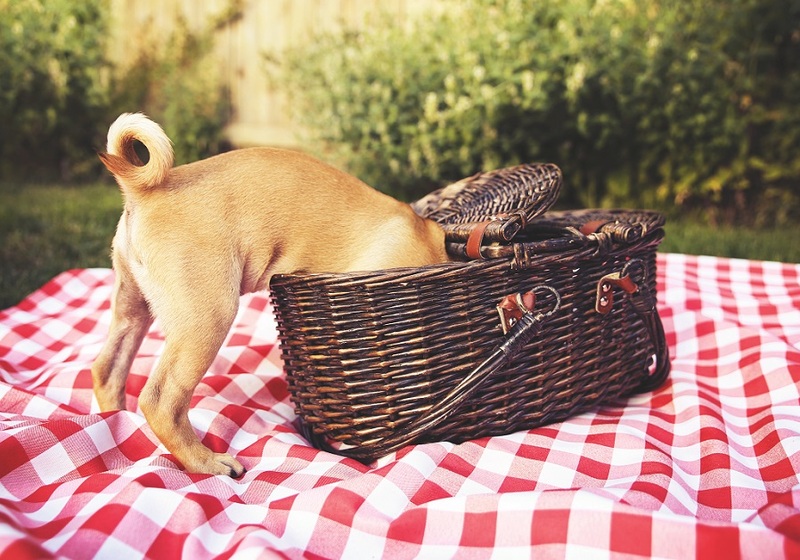 The trouble with pets and picnics! During the summer, it may look like your local park has been transformed into a seaside resort, with ice cream vans, travel barbecues and picnic blankets sprinkled like confetti as far as the eye can see. For dog owners, this can only mean one thing… scavenging and upset tummies! Navigating through the parks during the summer with our four-legged friends is anything but relaxing. Our hounds have finely tuned noses and due to their street dog ancestors, they have strong scavenging instincts that seem to overwhelm them. Even the best-behaved dog might not be able to resist the temptations of tasty morsels lurking in the grass or the opportunity to gate-crash some unsuspecting picnickers! Sadly, this scavenging can have serious health repercussions for our furry friends. Given the opportunity to snaffle a sausage or a stray burger - or if they are really lucky - a dropped Mr Whippy, can leaving them feeling as if they have won the lottery. These tasty summer delights are laden with fat and can play havoc with your pet’s digestion, leading to vomiting, diarrhoea and tummy aches! Not a pleasant time for you or your pet. These foods can even be toxic if they contain any chocolate, for example like a flake, or if they are a chocolate-coated ice cream or lolly. Some sugar-free ice lollies and ice creams may also contain xylitol, which is also toxic to our canine companions. Not only will our ever-eager four-legged friends gobble up food and sweets, they will also often eat the wrappers, foil, lolly sticks, bones or even skewers (any that are still attached) too! As these items travel down your pet’s digestive tract they can cause obstructions or even perforations, which can be fatal! Avoid walking them in the park at busy times or when you know there will be lots of picnics around, for example, on the weekends or lunchtime. Keep your dog on the lead around picnics to be extra safe or walk them in picnic-free areas where they can run loose. Be especially vigilant around any litter bins, as these will often be overflowing during the summer! On the Monday morning walk, following a sweltering weekend, be vigilant as the parks may be littered with thrown away barbecues and abandoned food, wrappers and skewers that your dog will guzzle in a heartbeat. If you are worried that your dog has snaffled something harmful, seek veterinary attention as soon as possible. Our canine companions can be so quick, often swallowing something in one gulp before we can figure out what it was!